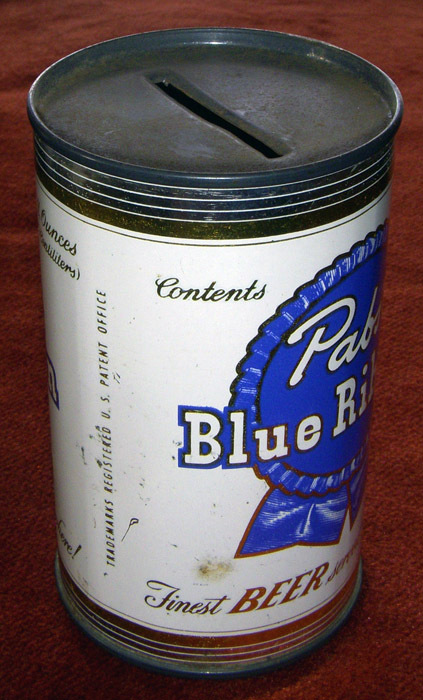 ARTIFACT: This is a circa early 1950s miniature beer can coin bank advertising Pabst Blue Ribbon. Pabst Blue Ribbon (affectionately known as PBR) has been brewed in Milwaukee, Wisconsin since 1844. SIZE: Approximately 2-1/16� in diameter and 3-7/16� in height. ATTACHMENT: Slot; bottom screws off. 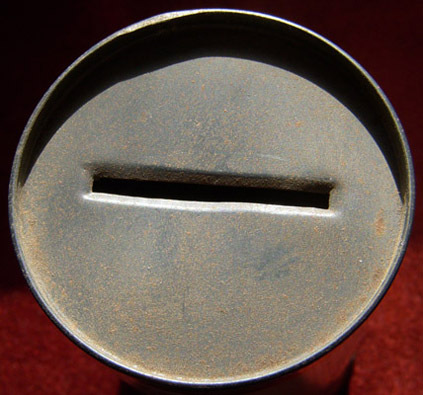 MARKINGS: A.C. CO. 70-A DISP NO. 6014. 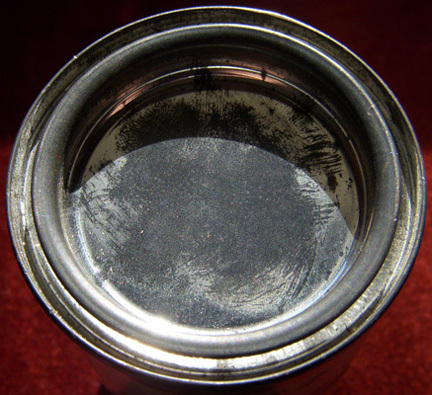 CONDITION: 7 (Very Fine): The bank has some small spots of light wear and some minor oxidation to the top.